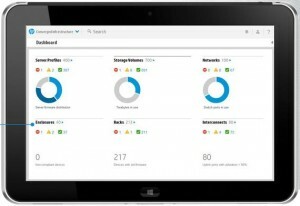 HP released today its latest version of its converged infrastructure management solution Oneview 1.10. At the most recent HP Discover in Las Vegas in June, this was one of the big announcements made. 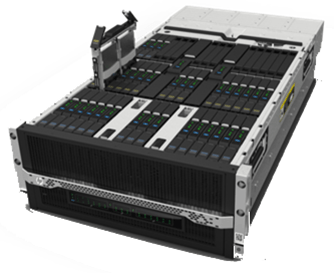 This update release supports HP BladeSystem, HP Virtual Connect, 3PAR StoreServ storage and HP Proliant (DL) Rack servers. The initial releases could only be installed on VMware ESXi hosts, new in 1.10 is the support for Microsoft Hyper-V as well. Further is the biggest change the support for Storage management including provisioning. In this first release the popular HP StoreServ aka 3PAR is supported. This is possible in Flat SAN (direct attach) and Fibre Channel Fabrics solutions. The storage configuration will be saved in the server profiles. The update can be downloaded as update file for existing 1.x Oneview deployments or as a full binary. HP released also additional software to provide the connectors with VMware vCenter Server and Microsoft System Center. 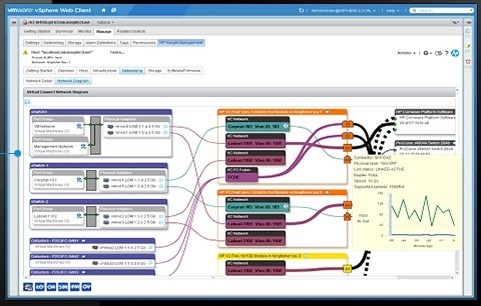 These integrations were known before (in the SIM / Insight Control environment) as Insight Control for VMware vCenter and Insight Control for Microsoft System Center. These new integrations are now called HP OneView for VMware vCenter and HP OneView for Microsoft Center and can be downloaded here: www.hp.com/go/ovvcenter and www.hp.com/go/ovsc.